Time lapse. It’s been known to happen while cruising the great wide open. Blue for days, as we say. 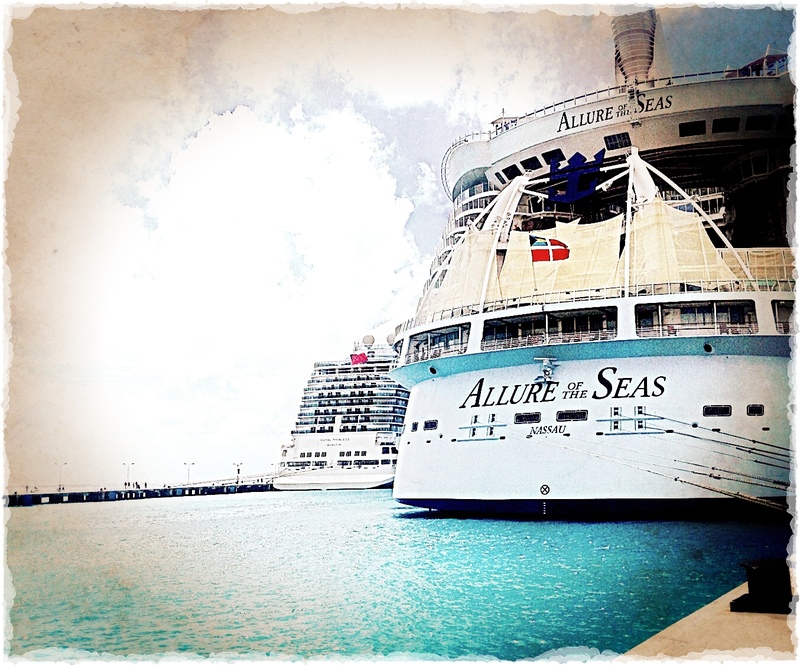 But today is a port day for Royal Caribbean’s Allure of the Seas in Sint Maarten. The Dutch side of this Caribbean island in the Kingdom of the Netherlands comprises its southern half, with the French Saint Martin to the north. TGHG Wine Director Eric Larkee is on his second of two tours of duty with Special Ops Chef Thomas Tennant chaperoning fine dining restaurant 150 Central Park through its seasonal menu transition. The restaurant abroad Oasis of the Seas launched Michael’s new winter menus Shadehouse and Harvest last week. Now it is big sister’s turn. Chef meets the ship next week for a couple of days when Eric is back on dry land. Not only is he responsible for selecting the Royal [wine] Pairing for the rotating menus and training front of house staff, but lately Eric has voluntarily embraced the role of Brand Stringer to capture the action. Even invested in a Gorillapod to make it nice. The menus look great this season, as they should with all our farms here in South Florida at the height of harvest. The first dish of each menu is a favorite of mine always, primarily due to Eric. He has a way of handling the pairing to whet the palate and leave you wanting more. Borek Farms Beets start things off for Harvest, roasted, pureed, pickled, and then shaved, with creamy robiola cheese, pistachio, and citrus. The brightness and freshness of the star ingredient is balanced by something luxurious and creamy in the cheese and then zapped right back up with the last ingredient, the crisp acidity of a glass of Schramsberg, Blanc de Blancs from the North Coast of California. A whole New World, indeed. Enjoy Eric’s time lapse below, and we wish him safe travels home. We’ve got plenty of material at home base begging for a sequel! ← Announcing Our Three February Pop-Up Menus in Genuineland!